little lambsie divey: Up, Up, and Away! 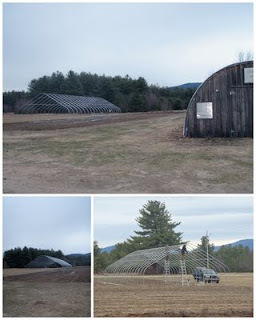 The new high tunnel is coming along swimmingly (almost literally with all of the rain we have been getting!) The guys at Ledgewood really know their stuff, and get right down to it, fast! 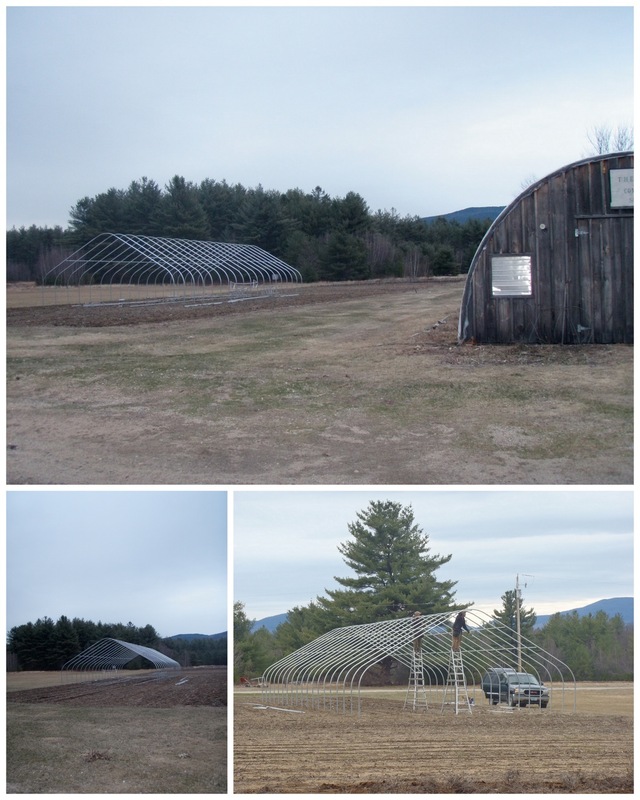 A crew of two came over Monday and Tuesday evenings and in a total of about 4 hours, here we are!